You will receive 50 Avon 3 Piece Stainless Steel Golf BBQ Tool Set. Set of 3 stainless steel bbq tool set from Avon. 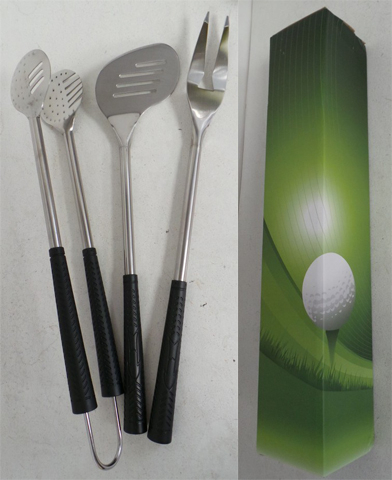 Golf themed set with each piece featuring a black nylon grip and one item coming in a golf club shape. Tongs, spatula and fork included in each set.